This is something I am in the beginning stages of working on. I will upload here as I complete individual titles. The goal here is simple: to "release" the ultimate versions of every single Paul McCartney album that will include as bonus tracks a) every released song/mix/edit, and b) any significant outtakes (with upgraded sound wherever possible). To do this, I will need lots of time as I am working a regular job and living a regular life (just like y'all). This is something I'm doing in my spare time, although it is a project that is very near and dear to my heart. It's something that I've wanted to do for years and years and the time seems right now. 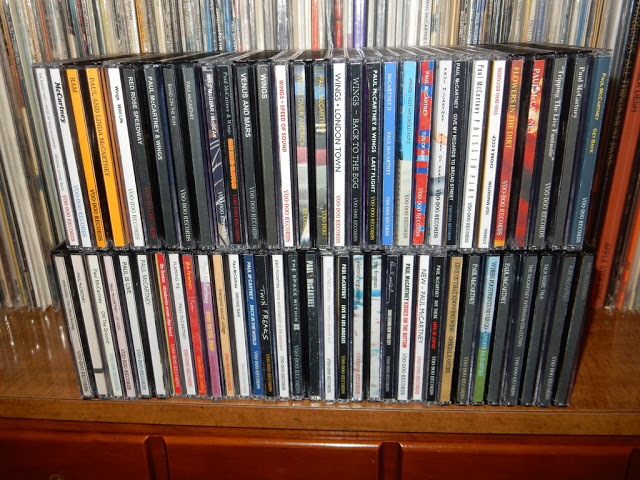 That said, there are still some items I am trying to acquire to complete my own collection (so that I can present it on these CDs). I will list what I am looking for soon. I first wanted to mention the project (including what it will entail) and to list the first title. These will not be uploaded in any particular order, and my goal is to get at least three titles out per month, with full cover and disc art.